Eve Online Buddy Invitation - ✅ Free 750K SPs & ✅ 600M ISK Bonus! Hello! 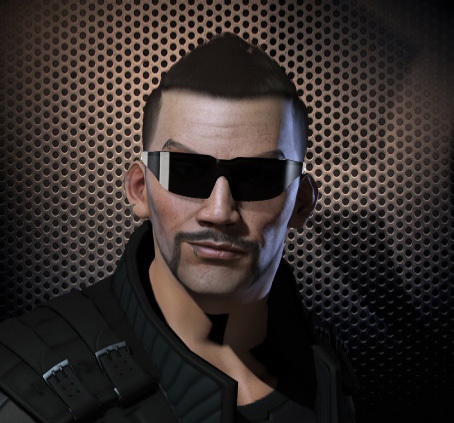 My name is Zedrian Kallowee — I am one of hundreds of thousands pilots in immense space of New Eden in EVE Online MMO game. But unlike many others I am somewhat friendly and generous and I want to invite you into the game. You can try EVE Online for absolutely free any time as an Alpha clone. I offer you substantial amount of money: when you upgrade your account from Alpha to full Omega account — I present you 600.000.000 ISK! That's right — 600 hundred million ISK to start your EVE Online game experience with a head start. On top of that you will receive a 750.000 skill points bonus which can be used for every skill you like. *Quoted from CCP´s Terms and conditions: "The Recruit account Omega fee may not be paid using Direct Debit, any in-game currency or other game credits, including (but not limited to): PLEX, CD Keys, including CD Keys or CD-Key type Starter Packs purchased or received from non-CCP sources and online stores such as, but not limited to: Amazon Starter Pack and Game Stop." 3) After upgrade of your account send in-game mail to Zedrian Kallowee with dates and exact time of activation and upgrade (check these dates in your control panel on eveonline.com) - so I will be able to trace your registration and confirm your identity to send 600M ISK bonus. © EVE Online is a trademark of CCP hf. The Cowderoy.com website is made by an EVE player and does not have any official links with the company. Neither me nor CCP guarantee anything related to this site and the recruit a friend offer - use it at your own risk. But I'll do my best to keep my promises. Be sure to read the terms & conditions of ccp's offer to be eligible for rewards.